After garnering national attention for allowing abortion up until birth, the state of New York is now considering killing yet another segment of its population. Gov. Andrew Cuomo signed the controversial abortion bill past week, but pro-life activists are warning there are actually three bills submitted to the New York senate and assembly dealing with legalizing doctor-assisted suicide. Alex Schadenberg of the Euthanasia Prevention Coalition says one bill is based loosely on the Oregon euthanasia law, one that qualifies a person based on a six-month or less terminal illness prognosis. 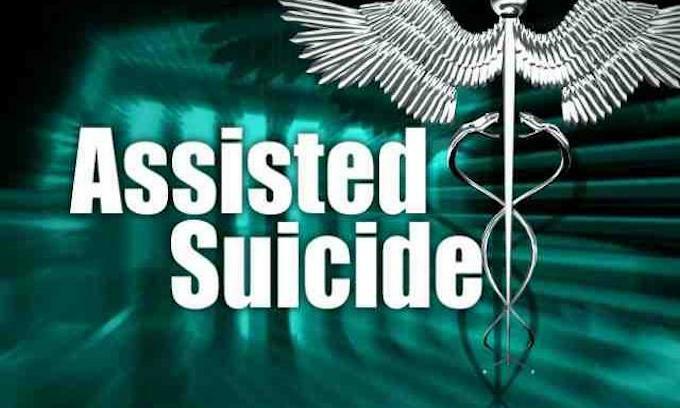 Another bill would prohibit the payment of life insurance in cases of assisted suicide. The third bill simply calls for a study of doctor-assisted suicide. Well, perhaps they can start a new ‘medical’ tourism promotion…”Dying to get away, come to NY”. They can advertise to those who want to kill their babies to come for a ‘get away from being pregnant’ and then they can advertise who want to have assisted suicide for yet another medical tourism option. The funeral homes will love this as they’ll need to do the paperwork and prepare bodies for transport. This whole thing is sick and depraved. Next if you don’t like your Congressman, Senator, Governor or Pres you can hire a hitman to assist in their permanent removal? No, like pension plans and healthcare plans the social elite always vote themselves out of the pain and the consequences of their secular foolishness, and vote WE THE PEOPLE in to it. The whole problem with our American government could be solved with a Constitutional amendment law that states no law can be passed that does not also apply equally to the members of Congress, then see how good a healthcare and retirement we get and how life becomes more precious to the current offerors of just more death and darkness. Those who are guilty and only protect the guilty have no place in judging and protecting the American innocence in the womb. Enter the entire Democrat party platform, and the Congressional ladies in white with innocence culling hearts that are black. Oh they appear warm and regularly human on the outside, but are cold and exceptionally inhumane on the inside. The insurance we purchase for our representatives will keep them alive indefinitely. Look at….I mean, take R. Ginsburg for example. I wonder. How long will it be, before we see “FORCED assisted suicides” for sick patients? The big problem with doctor assisted suicide – and I do mean BIG – is that once it becomes legal, how long do you think it will be before the medical insurance companies decide that it is the preferred treatment for various diseases? After all, many forms of cancer require treatment that costs in excess of $100,000 – how much cheaper to just inform the patient and doctor that the only approved “treatment” for that disease is assisted suicide. Think of all the money they can save. How much do you think your life is worth? It wouldn’t surprise me, ONE BIT, to eventually see that being forced on folks. This might sound as ghoulish as all the kill-friendly laws in the Rotten Apple. But I say….let ’em do it. Let the liberal, crackpot, demented freaks kill themselves. Conservative, patriotic, God-fearing Americans don’t believe in abortion or suicide, anyway. So we won’t be participating. Therefore, Lib freaks will slowly terminate themselves, while we conservative, patriotic, God-fearing, life-producing/respecting Americans fill the void. Sounds like a conservative political and cultural vanguard to me. But don’t think the Demon-crat’s hypocrisy or depravity escapes me. Leftists want to kill the unborn and infirm of our own country, while allowing free room, board, and HEALTHCARE to anyone…from any other country. They are truly evil. And what makes you think they’d only limit this TO THEIR OWN?